It is amazing how the food blogging – Twitter community has come together in the past week or so over a loss of a fellow food bloggers husband. I know for many, it has made us all stop and reflect about those we love and what is truly important. And to send love, hugs and peace to a person, who was so in love and now in such pain. I do not personally know Jennifer Perillo, but her Tweets have been heart wrenching. And she has not been far from my thoughts this past week. Which of course, makes my thoughts turn to the one special person I have lost. His name is Dylan, he would be an amazing, energetic, fun loving 10 year old, who was taken far to young. And even though I only got to spend 20 hours with him, he has profoundly changed my life forever. And still does every day. Because the world looks a little different when your child dies. In her grief Jennifer has made one request, but I will let you read her words, for she explains it best. Here is my Creamy Peanut Butter Pie. Appreciate those you love WHILE you can. Previous Post - Previous post: Iron Chef Grande Prairie 2011. My journey has definitely been charachter building. And the saying is true, you are so much stronger then you think. I was very pleased with how the pie turned out. It tastes as good as it looks! I am not a parent, so I cannot even imagine the pain of losing a child. My mother lost her son, my brother, when he was 31, after a long illness. I’ve seen her pain. She pretty much stopped breathing for three years. 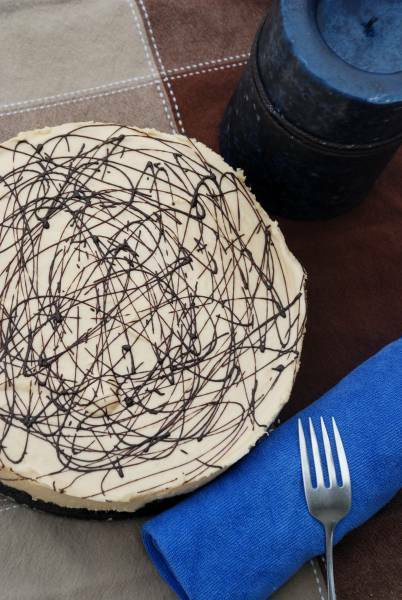 Peanut butter pie is such a Kid Treat–it feeds the kid in all of us. All the Mikeys and Dylans whom we love and miss every day. Lovely pie, by the way! And Nutmeg Disrupted–I really like the name of you blog! The support over the death of jennifer’s husband has been nothing short of amazing! That is one of the things I really love about Twitter is how we all look out for one another, even though we are all virtually stangers. The pie turned out really nice. And it tastes amazing! Never had a peanut butter pie before. I know I will be making it again. Thanks for stopping by Alan! Always nice seeing you. Losing a loved one is never easy. I always hurt for anyone having to go through it! I’m sure she appreciates all your sentiments and support.